I always enjoy the freedom of water colouring and adore the combination with stamping. All the artwork is done and I just get to have loads of colour fun. We all love playing with new craft products and the enjoyment is twofold when some of those products are free. Do you love the Designer Series Paper I've used on the bottom half of the card? It is called SWEET SORBET and is an exclusive Sale-a-bration product. 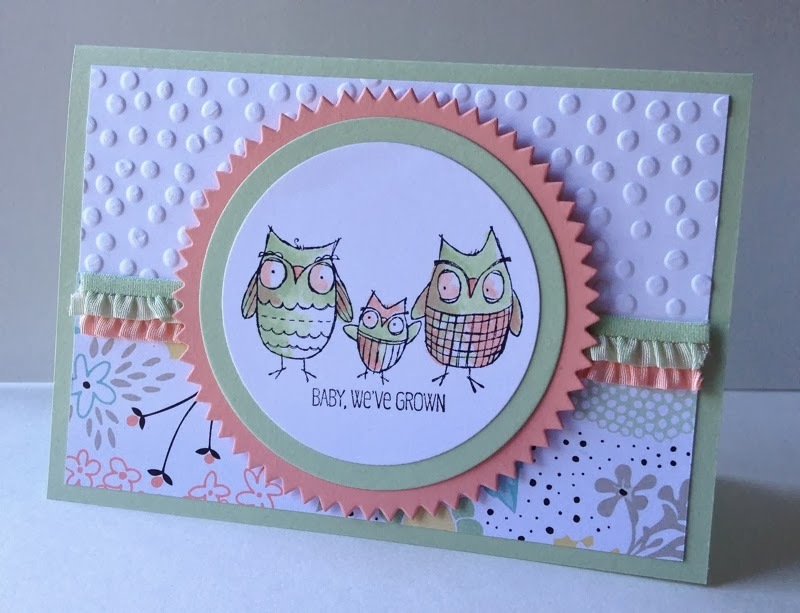 What about the gorgeous embossed dots at the top? That's called DECORATIVE DOTS and it too is an exclusive Sale-a-bration product. You can get both of them for free when you place a Sale-A Bration order with me - one for each $90 you spend. The detail shows how free you can be with water colour. It really does not have to stay within the lines, and can be applied quickly and easily with an Aqua Painter brush and your classic inks. Because the ink is somewhat transparent you will notice the colours neutralise one another when they overlap. I hope this has given you some inspiration and that you will try some water colouring for yourself. It is so much fun. And don't forget to check out the Sale-a-bration brochure on line. 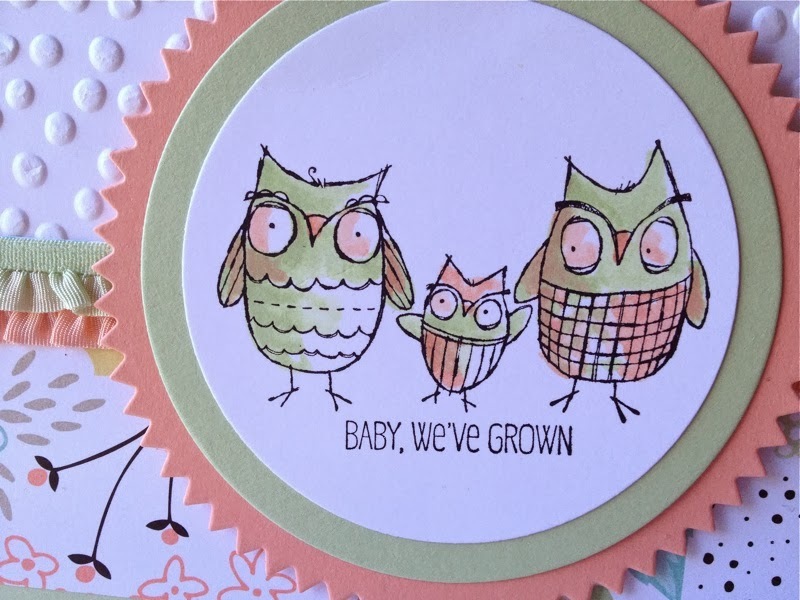 You only have until March 31 to get these free exclusive products from Stampin' Up!